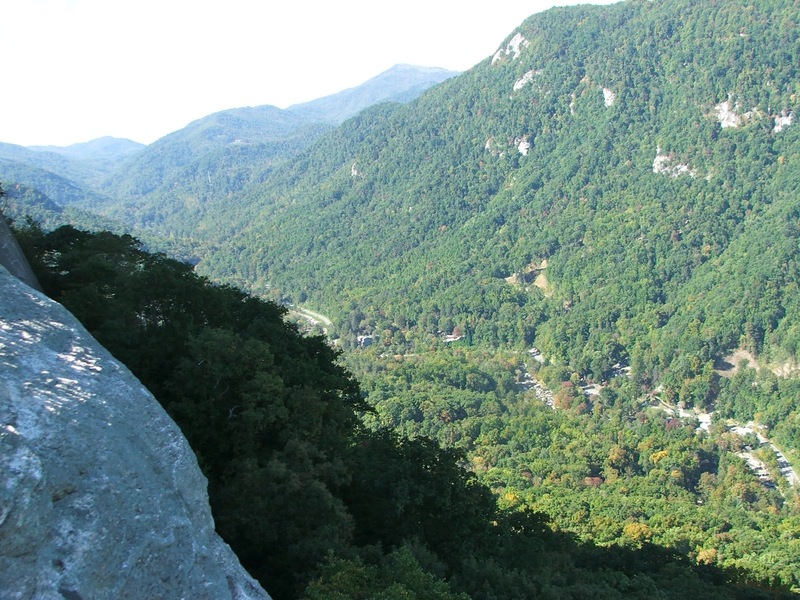 Visit Chimney Rock Park this March, 2012 and enjoy a guided hike to Hickory Nut Falls, one of the tallest waterfalls east of the Mississippi River at 404 feet. Dates of the complimentary guided tour are Mar 3rd, Mar 10th, Mar 17th, Mar 24th, Mar 31st. The hike is free with paid Park admission. To participate in the hike, the trail guide will meet in front of Cliff Dwellers Gifts at 1pm. 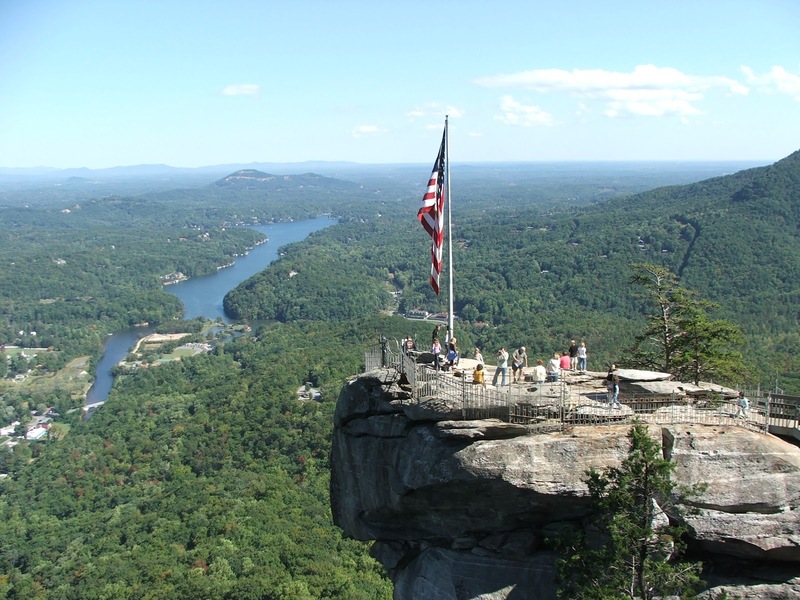 In the event that the Hickory Nut Falls trail is closed (due to ice melt at the falls), the hike will be held on the Four Seasons trail. Chimney Rock Park is just 25 miles south of Asheville, NC, a beautiful and scenic drive along highway 74-A through Hickory Nut Gap and along the Rocky Broad River. The Park and Old Rock Cafe will be closed on Tuesdays and Wednesdays through March, 2012. Park hours are Thursday through Monday from 10 am to 6 pm with the Ticket Plaza closing at 4:30 pm until March 11th at which time park hours will be extended to 7 pm and the Ticket Plaza will close at 5:30 pm, due to daylight savings. Visit the website or call 828 625-9611 to confirm opening and closing times, as with inclement weather the park will often close. 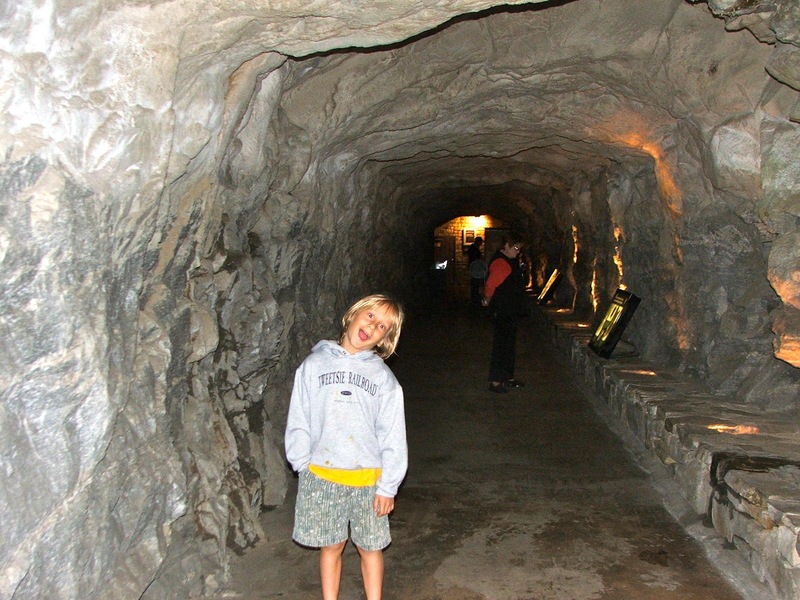 Because of major capital improvement projects resulting in trail closures, ticket pricing is discounted through Spring 2012: $9 adults, $4 youth (6-15). Other special events and classes are scheduled at Chimney Rock Park this March (and throughout the year), including a Survival Skills Workshop series, Backyard Habitats Workshop and more, so be sure and check the Chimney Rock website for more details on classes and events. And if you need a place to stay, consider an Asheville Bed and Breakfast, Cabin or Vacation Rental. Call 828 994-2627 for detaiils, options, and reservations, 9 am - 7 pm daily, info@vacationinasheville.com, www.VacationInAsheville.com.